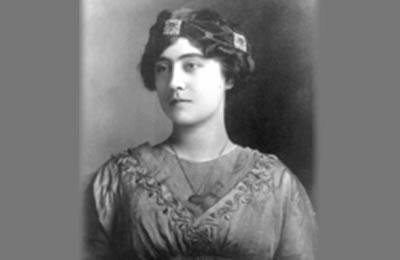 Elena Arizmendi Mejía (18 January 1884 – 1949) was a Mexican woman who established the Neutral White Cross organization during the Mexican Revolution. She was a feminist in the first wave of Mexican feminism and established the “Mujeres de la raza” (Women of the [Hispanic] Race) and the International League of Iberian and Latin American Women in cooperation with G. Sofía Villa de Buentello. In 1910, she was studying at the School of Nursing of the Santa Rosa Hospital in San Antonio, Texas when the war broke out. On 17 April 1911, a few weeks prior to her graduation, Arizmendi returned via train to Mexico City to help with wounded combatants, as the Mexican Red Cross refused to provide aid to insurgents. Arizmendi arranged a personal meeting with the head of the Red Cross, who reiterated the refusal to support revolutionaries. Determined to help her countrymen, Arizmendi founded an organization to help and with her brother Carlos rallied medical students and nurses to organize the Cruz Blanca Neutral (Neutral White Cross).